Did you know the per capita annual consumption of candy in the United Kingdom is over 10kg? 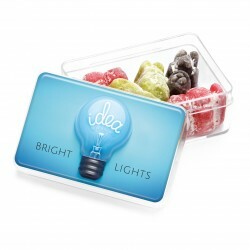 If you're looking for holiday marketing ideas, sweets are a great starting point! However, the marketplace is crowded and competitive. Make your company stand out through clever marketing. 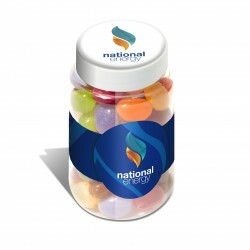 Take advantage of holidays and printed jelly beans to promote your business. Read on to learn how you can use jelly beans to make the most of your holiday marketing strategy. 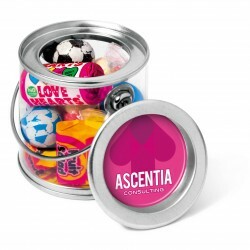 Valentine's Day is a perfect excuse to send your clients a small gift. 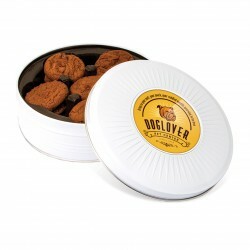 Make yours a promotional gift. Since almost half of adults in the UK consider themselves romantics, the thoughtful gift will resonate. 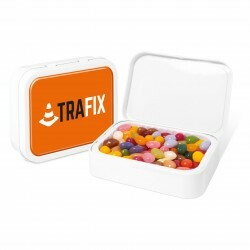 A small paint tin of jelly beans wrapped in the company logo reminds your customer who the thoughtful giver was. 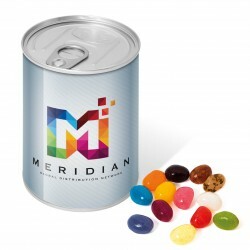 The can is cool and perfect for storage even after the jelly beans are gone. 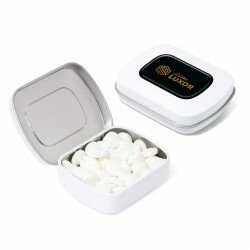 A tin with your logo on someone's desk keeps your company name front and center. Do your clients celebrate Easter? Perfect! 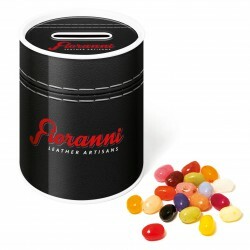 Send clients a small pouch of jelly beans with your company logo across the top. 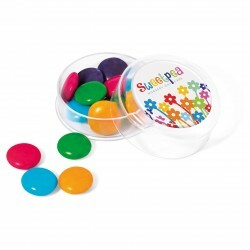 Every time your client reaches for a jelly bean, they'll see the name of your company. These little pouches contain about 50g of jelly beans. 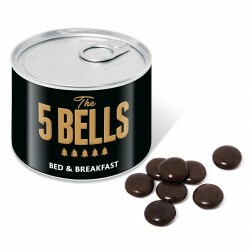 They last about 6 months, though the jelly beans will be long gone by then! Halloween is another perfect holiday to remind your clients about your services. 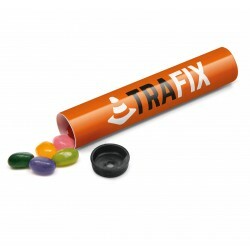 Send clients and potential clients a tube of jelly beans. The tube features your company name on the outside. Give the tubes of candy to anyone who comes to the office. You can even give them to unsuspecting passersby. If parents don't mind, give them to children. The kids may not be your clients, but the parents might be. Christmas is the biggest purchasing holiday of the year. 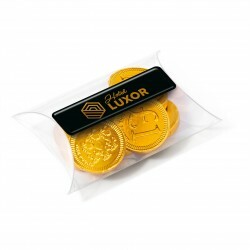 Go all out on your Christmas promotional items. Get your company name and logo in front of as many eyes as possible. 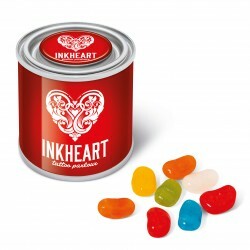 Order multiple types of tins, jars, and cans of jelly beans. 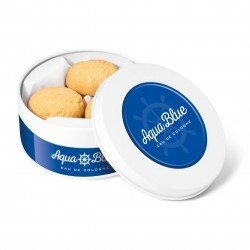 Each type of container has your logo. Put together a pretty basket and fill it with a few different types of containers all with your logo. Give the baskets to your biggest clients. Have a few potential clients you haven't approached yet? Now's your chance. Stop in with your basket full of goodies. The containers will be around even after the candy is gone, a reminder of your generosity. Everyone loves a little pick-me-up on New Year's Day. 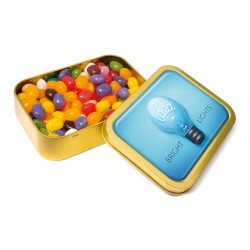 Give clients a ring-pull tin filled with 120g of jelly beans. Your company name features prominently around the can. Holiday marketing ideas are a clever way of putting your product in front of existing and potential customers. 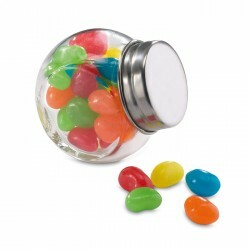 Promotional items are effective and inexpensive, and most of your clients will appreciate sweet treats like jelly beans. Take advantage of celebratory holidays and give your customers something they'll enjoy. 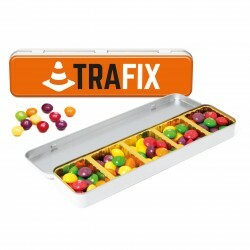 They'll love both the candy and the container. Read our blog for more creative marketing ideas.